The event will take place at its campus in Berlin (one of ESCP Europe’s five urban campuses besides Paris, London, Madrid, and Torino) which is located near one of the historical centrepieces of Berlin, the Charlottenburg Castle. Exit Highway A 100 at Spandauer Damm, direction Charlottenburg, Schloss. 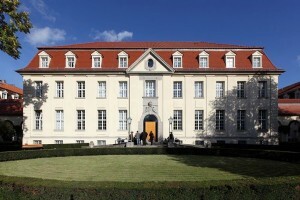 After 400 meters turn left into Sophie-Charlotten-Straße. 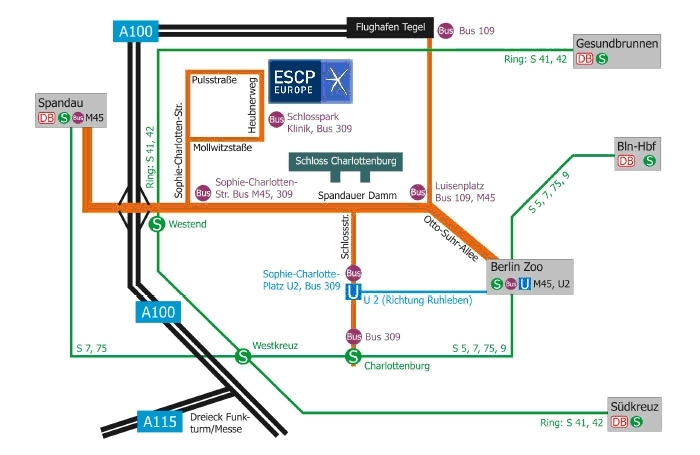 Take bus 109 (direction Zoologischer Garten) tillLuisenplatz. Change to bus M45 (direction Spandau) till Klausener Platz. Walk 5 minutes on the footpath direction north (view Map). In either case: change to S41 or S42 (Ring) till Westend. Walk 200m downhill following Spandauer Damm and follow the path indicated on the map.